As what we know, Kenny Rogers ROASTERS Malaysia​ is a well-known roasted chicken restaurant which is no longer a stranger to all Malaysian. 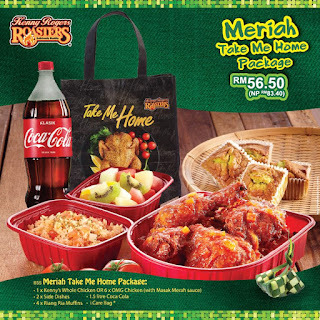 So, here's some menu of Kenny Rogers for you to take away which is Meriah Take Me Home Package that allows you to dine with your family at home. T&C applied.